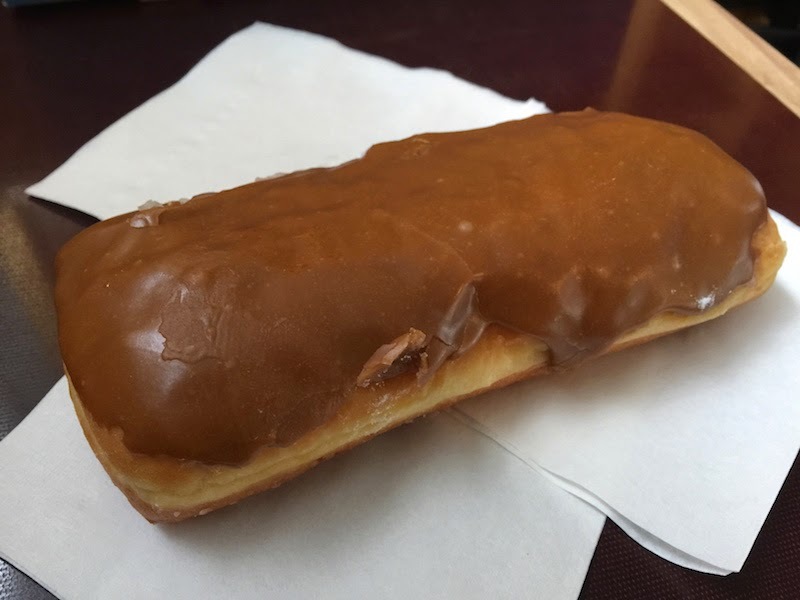 After a week in Seattle, we still hadn't made it for donuts. 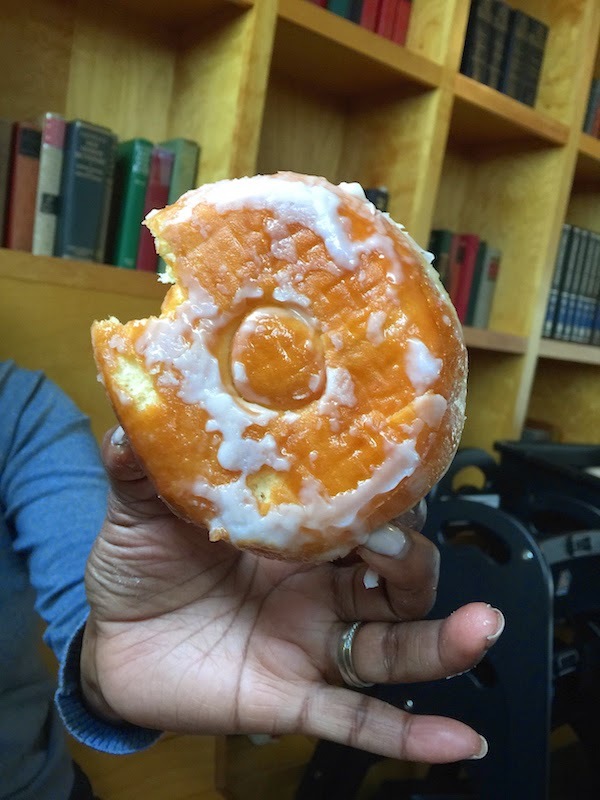 (Maybe we were filled-up on donuts after our Portland donut tour.) 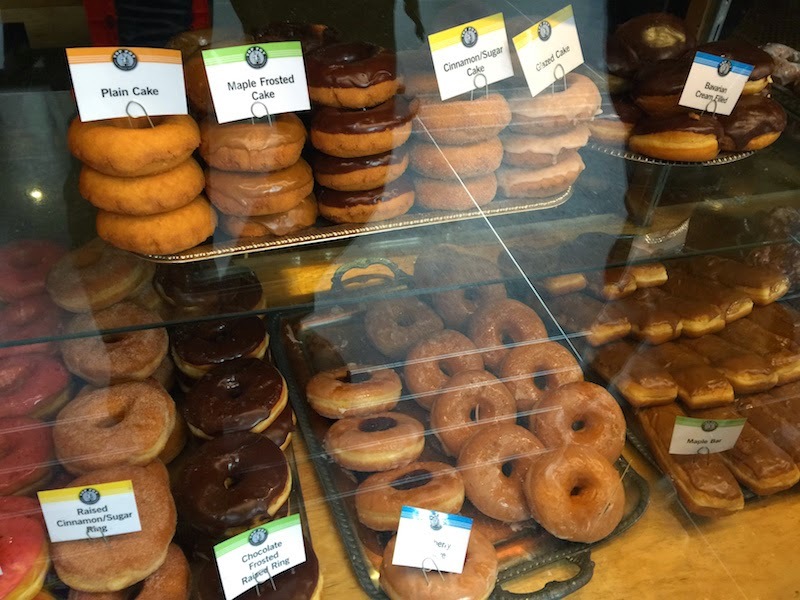 So we walked from our downtown hotel to the nearest Top Pot Doughnuts. 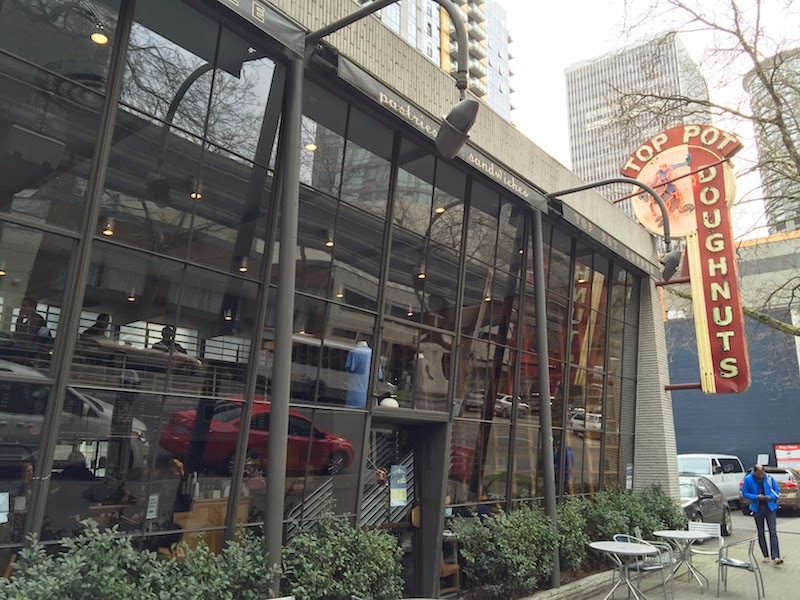 Read my review with more pictures of Top Pot Doughnuts in Seattle's Belltown after the break. There is plenty of seating in the two-story shop, which is lined with books and is very comfortable. 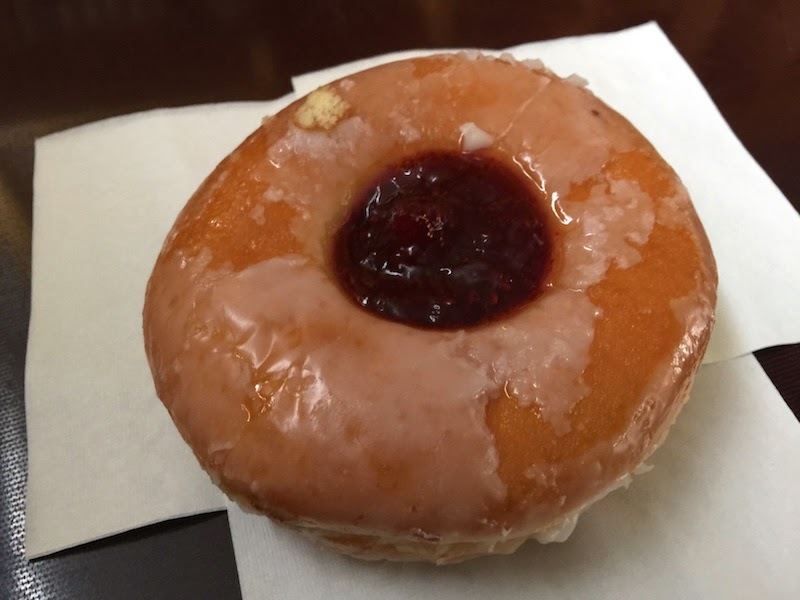 Top Pot on 5th is the snazziest donut shop I've ever been to! According to our walking tour guide, the name "Top Pot" comes from an old sign that originally read "Top Spot" but the "S" fell off. By the way, you'll be walking in President Obama's footsteps if you visit this location. 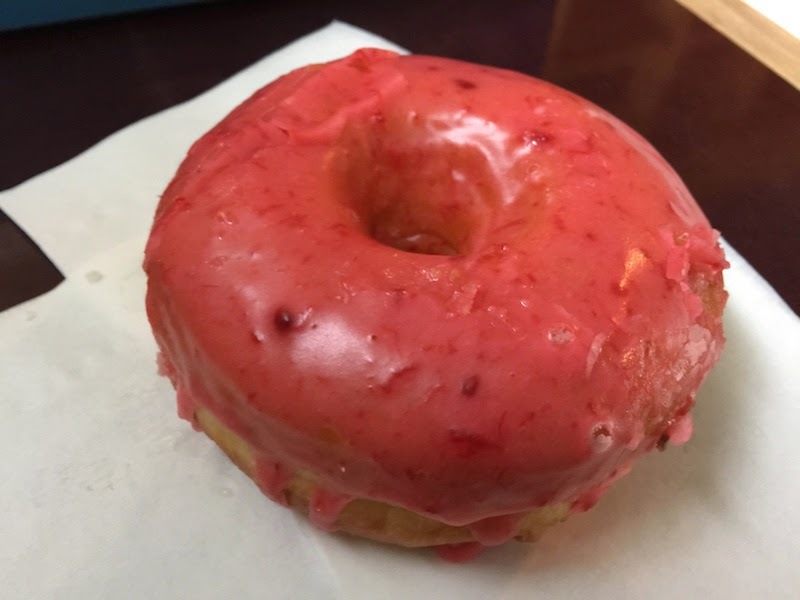 And Top Pot has been seen on Donut Paradise on The Travel Channel. 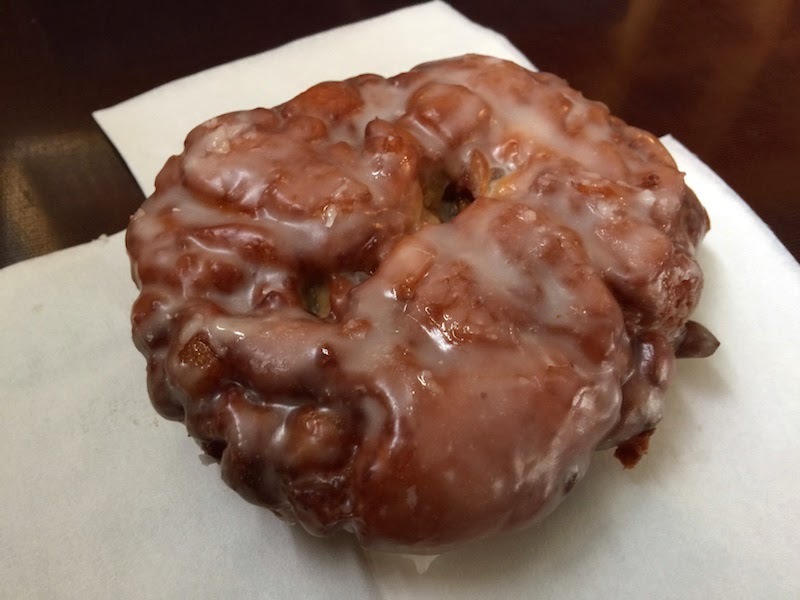 Top Pot Doughnuts serves gourmet donuts, although the donuts are not served warm. Mix and match your box of donuts using the colored dots on the menu. 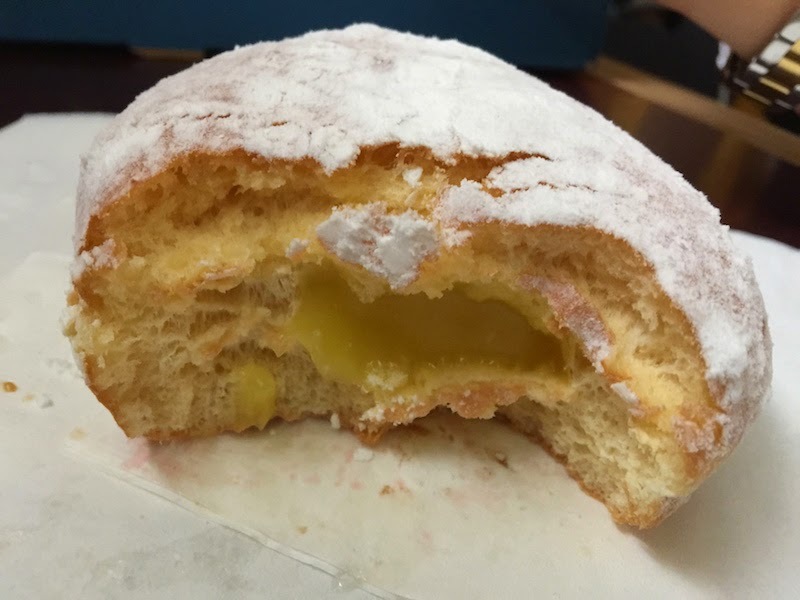 Notice the donut hole is not removed so that the filling doesn't fall through the bottom of the donut. Excellent! 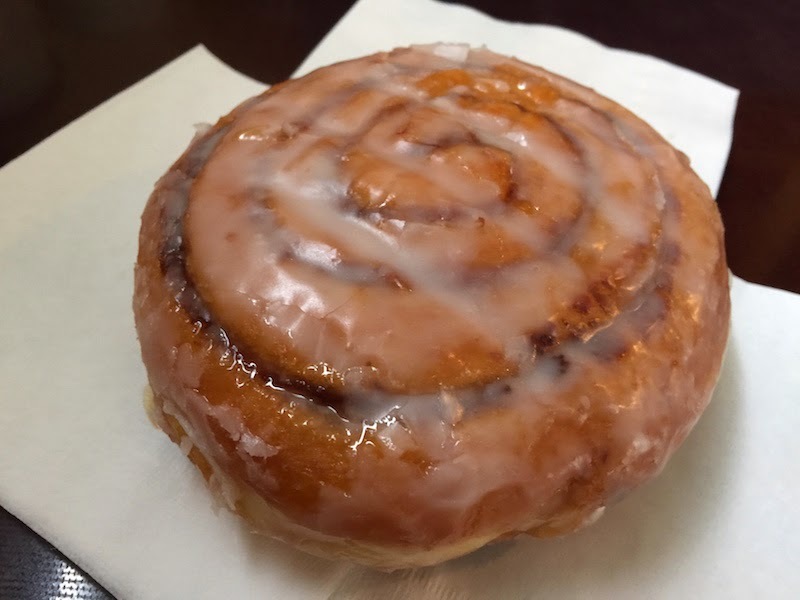 Our favorite donut at Top Pot.